We saw Yue Cheng Technology's COO, Yitian Han, speaking at VR Days in Amsterdam last month, where she revealed her company's plans to invest in the Western VR arcade scene. We caught up with Han and and CEO, Bin Gu, to find out their hopes for location-based entertainment worldwide. Where did your company start? You said on stage that you were inspired to start your technology business while studying in the US. 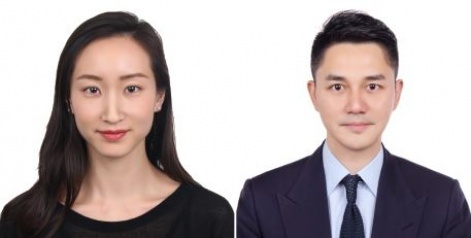 Yitian Han and Bin Gu: Yue Cheng Technology was founded in early 2017, by our CEO Bin Gu and me. Bin was a TV host for CCTV3 for over 10 years with strong media connection and background. We were both studying at Columbia University when we started the idea of creating a channel for Chinese people to know about new technology and VR. We saw how Chinese people were getting misleading and limited information about VR, because of the internet firewall, and because the big names such as Oculus, Samsung Gear and Daydream are not available in the Chinese market. We think Chinese people have the right to know about real VR content and future technology, just as everybody else in the world. Especially Bin, with a traditional media background; he saw the real difference about VR that it can connect the producer and the viewer. Anyone can become a director in VR - it is going to be revolutionary! Yitian Han (left) and Bin Gu of Yue Cheng Technology. How popular is the VR arcade scene in China? VR location-based entertainment (LBE) in China at this moment is already in its '2.0 version'. This involves more immersive experience (interactive content and matching installations) than earlier stages, which had only basic VR content (360 videos and chairs). 80% of such VR arcades are dead with the simple reason of lacking real VR content, or expertise in running LBE. At this moment, our audience requires more interactive, immersive and deeper VR experiences. Is China further ahead than the rest of the world in VR entertainment? In terms of high-end immersive VR entertainment, Western countries are still further ahead of China, such as MK2, IMAX, The Void and so on. But for VR entertainment parks in cities, like in shopping malls, China is growing rapidly. It’s because both stores and consumers have demanded it. Offline shopping malls want to encourage more customers, to challenge the increasing popularity of online shopping in China. And people are in general making more money these days, so they want to consume things, especially entertainment. Our mission is to bridge the divide between the East and the West, bring the world closer together. What is Yue Cheng's particular speciality? What is it's unique proposition in the industry? Our mission is to bridge the divide between the East and the West, bring the world closer together. Yue Cheng differentiates ourselves by having the ability to bridge the Eastern and Western worlds. We understand the demand for immersive and interactive technology from the Chinese market; we also know that most of the core technology of this industry is still owned by Western companies. It's essential to have a team to be able to connect both markets and cultures. We know what’s out there that we don’t have; we are capable of connecting foreign partners and bring their products to China as well. There were many times people asked us if we are a Western company because our core team members all come from very different background and cultures including the US and Europe! Having been living in New York has reminded us the importance of having a diversified team and a unique Yue Cheng culture in the company. This is in the team's genes and we will continue being ourselves while connected to the world. People won’t come to our arcade for just normal VR games, which they can simply purchase a headset and try at home. What is the potential for the growth of the VR arcade scene around the world? It is going to be more professional and popularised among consumers. 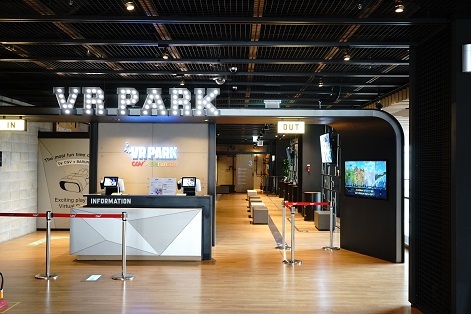 People won’t come to our arcade for just normal VR games, which they can simply purchase a headset and try at home; all the movies and games will have specially designed installations and machines to enhance the experience. It’s also the reason why our cinema has recently adapted the multi-player walking space VR games - other than immersiveness and interactivity, people are looking for engagement and collaboration with their friends in the VR world. This is the key to LBE. A successful arcade must have all types of XR (AR, VR, MR) elements and be highly diversified and socialised. You said you are looking to sponsor and invest in Europe VR centres. What are you looking for when it comes to partnering and investing with companies in Europe? What does a business need to deliver to be of interest to you? We are looking for European partners who are not only specialised in technology, but also highly influential in the market, and (most importantly) have strong management and operation skills for location-based venues. 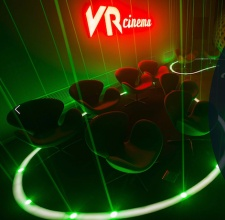 Yue Cheng is dedicated not only to bringing new and advanced technology to China, but also presenting our products to the world, beyond VR cinemas. This gives us a better understanding of the feedback from the international market. With our unique culture, from the first day of establishing the company, we aim to make international products. Not just the Chinese market. We are looking at how many consumers and in how many countries Yue Cheng’s VR cinemas are located and served, beyond the total quantity in one country. What are the challenges of developing games for an arcade? What sort of games work best in that context? The biggest challenge is how to tell a story in the game and to find a unique way to interact with the player. We’ve visited many great studios recently and saw many of the new creative ways to interact in VR movies and games. They've brought VR to another level. So what we can do in terms of interactivity when developing content would be one of the biggest challenges. What is the most popular game at your VR arcades currently? Apollo 11 VR by NASA. It tells the journey of how Armstrong landed on the moon. You can even go out of the space shuttle if you want to see the galaxy. It is highly interactive and most importantly it takes people to the places they cannot be but have dreamed about going — that’s the power of VR and will be the trend forever. VR may not completely change the world, but it will help make our life better. What do you think is the future of VR generally? Will it ever be a mass market home entertainment product? It’s hard to say if it can be mass market. I would hope so, though. Based on the current market, there will be more and more people purchasing VR headsets and using it at home. They key is what VR can bring to us. Rationally speaking, VR may not completely change the world, but it will help make our life better. What advice would you give to somebody developing in VR right now? Follow your heart. VR is still new to most people, it’s not a mature industry yet. It’s a new world, it’s from zero to one. Don’t limit your thoughts by what you think consumers need, do what you like and what you want to do and have never tried. Let’s make history together! You can find out more about Yue Cheng Technology on LinkedIn and Twitter.